Molly and Myles Absurdly Amazing Ice Cream was founded in 2018 by Steve, Nicole, Molly, and Myles O&apos;Brien. The concept was based on the idea of an all-inclusive hub for the community...just be yourself. Creativity and differences are welcome at Molly and Myles. The entire establishment was built by and for children...with the idea of letting children express themselves. 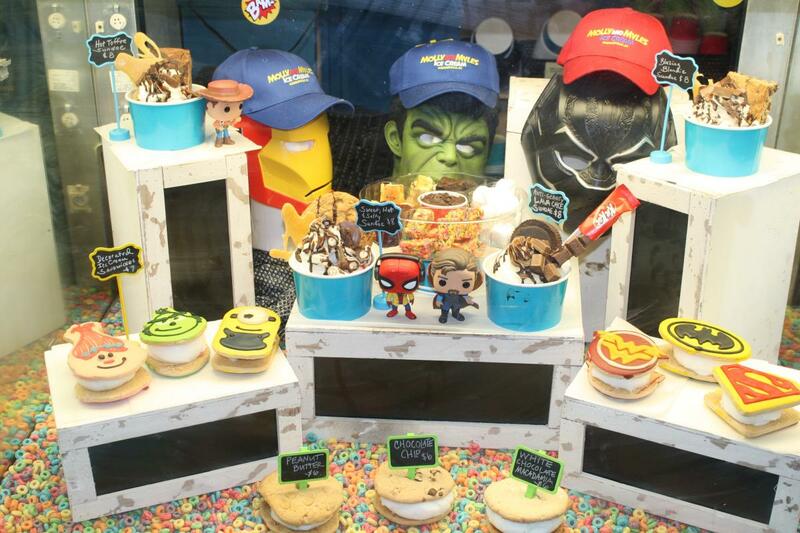 Throughout the walls in the shop, there are 500 fidget spinners on the walls, toilet seats on the walls, collector pez, superheroes, street art, classic video games, and much more. There&apos;s even an art wall where children (and adults alike!) can display their works of art for others to admire. The management follows the philosophy of their customers...employees are free to be themselves but more importantly, their main goal is to create amazing experiences for everyone who walks through the doors. 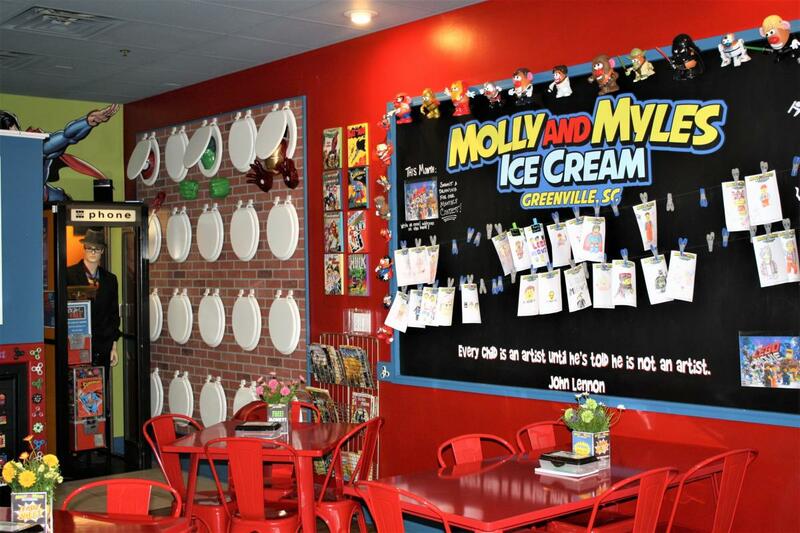 Molly and Myles serves the top 10 ice creams in America, which is shipped from Homers Ice Cream in Chicago. This Summer, they plan to introduce homemade blends as well. Molly and Myles focuses on new and creative ideas, especially in the products they serve..they even have an entire cone made out of fruity pebbles! 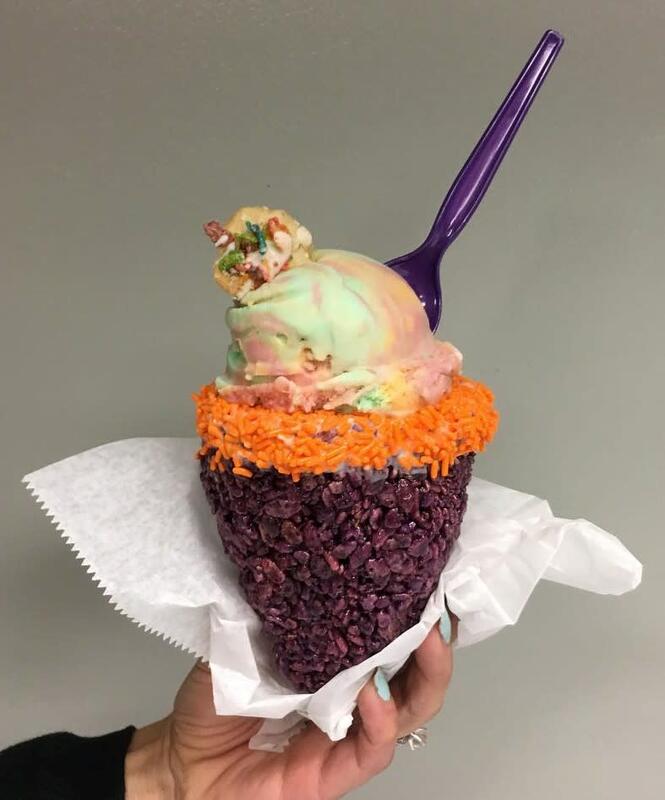 Yes, you heard that right...an entire cone made out of fruity pebbles. But the ice cream shop is not just for ice cream. 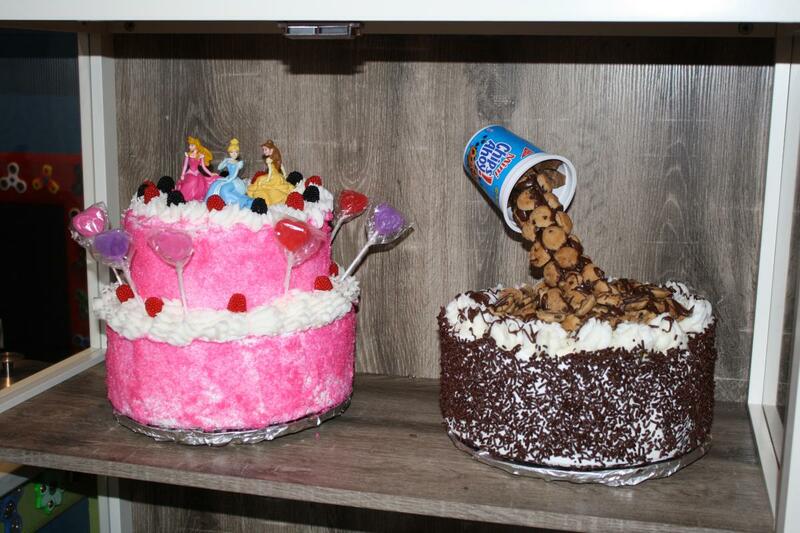 Molly and Myles also creates anti-gravity cakes, ice cream sandwiches, and more. Stop into Molly and Myles today and not only delight your taste buds, but unleash your creativity! 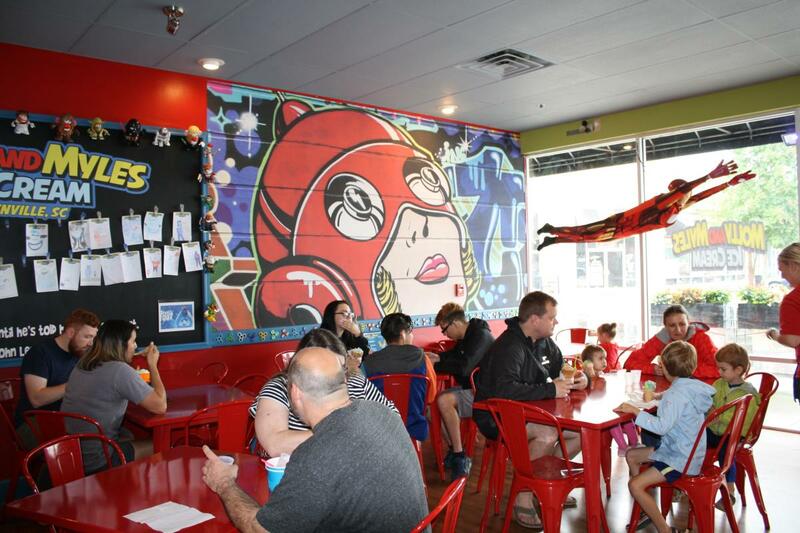 Fun fact: Did you know that the owners Nicole and Steve O&apos;Brien own an award winning Burger Joint (BRGRBELLY) in Chicago which has been voted the Top Burger joint in America by Food Network, Men&apos;s Journal, Thrillist, and more? BRGRBELLY also won the award for the best burger in Chicago in 2015 in the Amstel Light Battle of the Burger.